Google's plans to re-enter China with a search engine are at an "exploratory" stage, Google's chief executive Sundar Pichai has said, as he tried to soothe anger among employees. According to reports, the company is seeking Chinese government approval for a mobile search service called Dragonfly, that would censor some websites and search terms. Mr Pichai told staff development was at an "early stage" and it was "very unclear" if Google would launch the product. "We are not close to launching a search product in China," Mr Pichai said. "The team has been in an exploration stage for quite a while now, and I think they are exploring many options." Employees are concerned by agreeing to Chinese censorship it would violate Google's "don't be evil" code of conduct. Google co-founder Sergey Brin at the same staff meeting said the search giant would not compromise its principles. It is the second time this year that Google staff have protested against the company's plans. More than 3,500 employees signed a letter protesting against the company's work with the Pentagon's surveillance drones programme. Before the staff meeting, employees called for more "transparency, oversight and accountability" - according to an internal petition. "We, the undersigned, are calling for Code Yellow addressing Ethics and Transparency, asking leadership to work with employees to implement concrete transparency and oversight process," the petition said. "Dragonfly and Google's return to China raise urgent moral and ethical issues. "Currently we do not have the information required to make ethically informed decisions about our work, our projects and our employment." "Code Yellow" is a coding term to address issues. 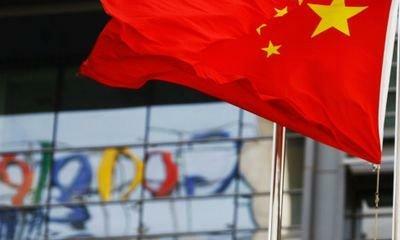 Google pulled its servers out of China in 2010 amid concerns about censorship. While it still maintains offices in the country, it has been seeking to increase its presence. Mr Pichai told staff Google's mission was to "organise the world's information". "China is one-fifth of the world's population. I think if we were to do our mission well, I think we have to think seriously about how we do more in China," Mr Pichai said.